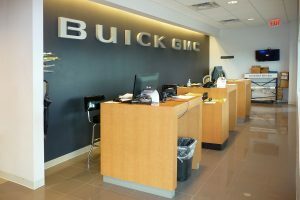 DESCRIPTION: Stanley Bryan Buick GMC a small town dealership needed to replace and upgrade their showroom and service facilities to meet GM’s modern branding and facility standards. 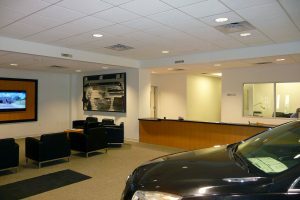 fresch architects adapted the GM required space plan and facades to be constructed efficiently with metal building systems. 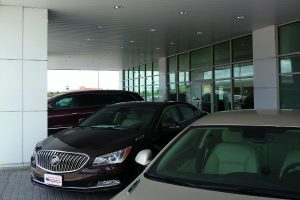 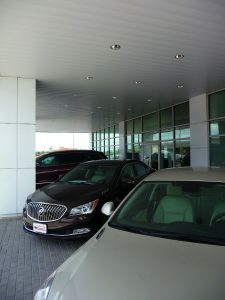 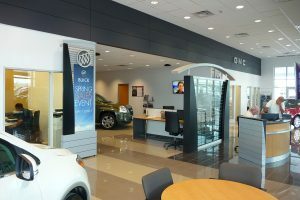 Owner Stan Bryan noted fresch’s assistance in navigating the GM approval process and merging the design requirements into a cost effective solution as vital to keeping the project in budget.